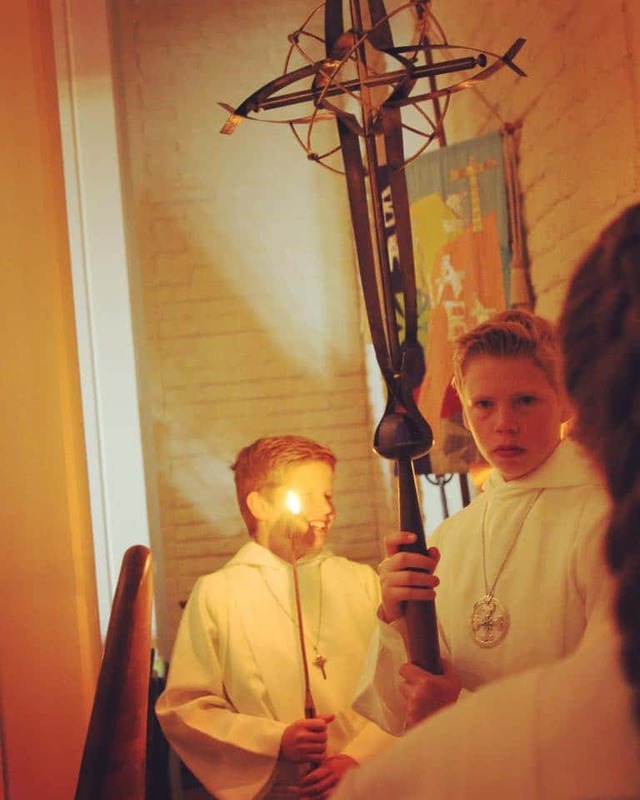 Acolytes are those who lead us into worship by carrying crosses, banners, candles, and more. When we enter worship, we do so in celebration of our Lord Jesus Christ and his immeasurable love. What’s not to celebrate, right? Acolytes therefore lend to our festive worship tone and we invite youth in grades 5 and up to take part in this ministry of leadership and celebration. Acolytes, like the rest of those serving at the altar party, wear a white robe (provided by the church) and usually wear a cross that reflects the color of the season we are in. The camaraderie of the young people who serve together is a meaningful byproduct of their service together, too! Contact our Director of Youth Ministries, Kate Fimbres, at kate@saintbarnabas.org to learn how you can get trained to be involved.